Fred Balderston’s father was a firm believer in the value of working on a farm. Describing his childhood in Pennsylvania, Balderston stated, “My father believed that management of a farm is a good way to educate yourself to be independent and resourceful.” As a result, Balderston has always had a deep love of farming and the outdoors. 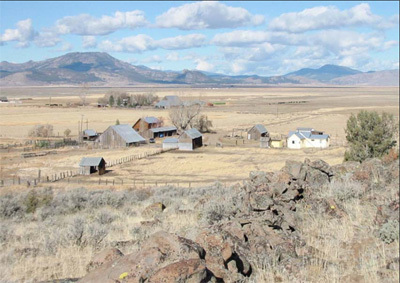 The Balderston Ranch preserves the history of California’s early cattle ranches. Photo by Joyce Paczynski. In the mid-1950s, he settled in the San Francisco Bay Area where he was a professor at UC Berkeley’s Haas School of Business. Although he and his wife owned property in Inverness (in West Marin), Balderston longed for “a place that would give us challenges.” They sold the Inverness property in the mid-1970s and purchased a 1,520-acre cattle ranch in Sierra County. The property lies in Sierra Valley near Antelope Valley. At 5,000 ft. elevation, it is flanked on both sides by mountains that rise to 6,600 ft. The ranch is blessed with water sources—including Antelope Creek, which runs through it—and an 8 ft. deep lake that spans five acres. In addition to the variety of plant life—including incense cedar, ponderosa pines, and juniper—over 140 bird species are found there, as well as deer and other wildlife common to the area. Two barns dating from the 1880s are still standing. The Balderstons built a house and spent their first Christmas on the ranch in 1975. From this point on, the ranch was the destination for family holidays and vacations. In the spring and summer, they backpacked in the Valley, and canoed and swam in the lake. Snowshoeing and cross-country skiing replaced these activities in the winter. Today, the Balderstons maintain the property as a working ranch and lease the land to local ranchers who graze their cattle there on a seasonal basis. Through these efforts, the Balderston family has assured that this treasure in the Sierra Valley will be conserved for perpetuity. 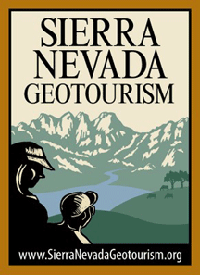 The Loyalton-Truckee deer herd that uses the property as a migration corridor does not know this. Nor do the numerous birds— including that ultimate symbol of freedom, the bald eagle—that make their home there. What is most important is that we, and all those who follow us, know that the land will remain a treasure and a treasured home for all its wild inhabitants.